As summer nears and the Arizona sun grows closer, electricity bills skyrocket in the Phoenix area. In the Phoenix Metroplex, both SRP and APS have recognized that windows are the number one source of heat gain in the summer and responsible for as much as 48% of the cooling costs of your home. 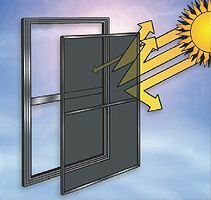 The most effective way of preventing this heat gain is by stopping the sun before it heats the glass. Interior blinds, drapes and window film (tint) all block the sun after the heat has penetrated and heated the window glass, so the heat radiates into the home. The effectiveness of a window-screening product is measured by its Shading Coefficient Rating. The lower the shading coefficient rating, the more effective the material is at blocking the sun. We will not void your window warranties. Putting screws in your window frames voids the window manufacturer warranty. Compare our company, products and installation techniques…then compare our prices. 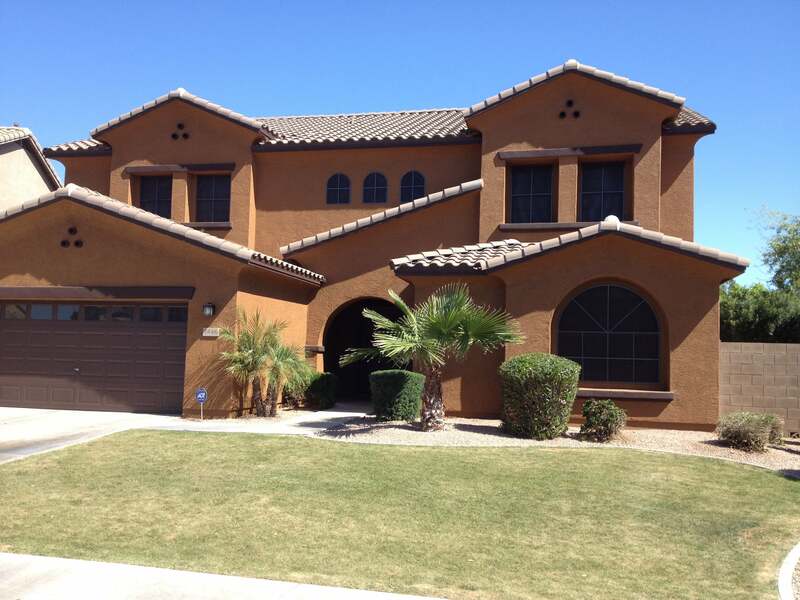 Accent Screens has been building and installing sunscreens in Mesa since 2004. We also provide patio roll down shades. Family Owned and Family run. From our Free estimate, till the job is completed you deal with us directly. We do not SUB CONTRACT any of our work. when compared to unshaded windows"
Absorbs solar heat, but does not block the view. Protects your interior window coverings, furniture, and flooring from UV damage. Here’s the result of a study Twitchell Corp. conducted in the Phoenix Metro area. It compares the solar heat gain entering a home through an unscreened window and the window that is covered by a Sun screen. We take great pride in our personalized service.